Silent Network founders, Sheldon I. Altfeld (left) and Kathleen Gold flank comedian Norm Crosby, who hosted their first television production, which aired in 1979 on NBC. Starting a cable television network for the deaf was certainly not something I intentionally set out to accomplish. After all, I’m a hearing guy who has been producing TV shows and theatre productions since 1950. And before the summer of 1979, I had never met a deaf person before. It was during that summer when I was asked if I would be interested in producing a local stage production of the Peter Shaffer drama, “EQUUS,” at a small theatre in Los Angeles. What would make the production unique was the fact that it would star an all-deaf cast and be presented in sign language (with voice interpretation). It sure sounded like an exciting challenge to me, so I agreed. Response to my production was overwhelming and led to an offer by KNBC-TV, the NBC-owned station in Los Angeles, to produce an hour-long prime-time special about deaf entertainment. Comedian Norm Crosby (who is hard-of-hearing) hosted the show, which was titled: “THE SIGN OF OUR TIMES.” It featured scenes from “EQUUS;” a deaf “disco;” an explanation of sign language; and a children’s story told by the very talented deaf actress, Julianne Gold, who went on to become one of the stars of the Broadway hit, “CHILDREN OF A LESSER GOD.” The program, which aired on the worst TV day of the year – the Friday between Christmas and New Year’s – actually topped everything on television that night and was the rating champion for the entire week. Suddenly everyone was interested in what deaf people had to say. It was during the production of “THE SIGN OF OUR TIMES,” that I discovered that a tremendous segment of our society – more than 20 million strong — had been all but totally ignored by television. The deaf and hard-of-hearing community hungered for TV programming that they could understand and enjoy. (This was before the advent of Closed Caption television). 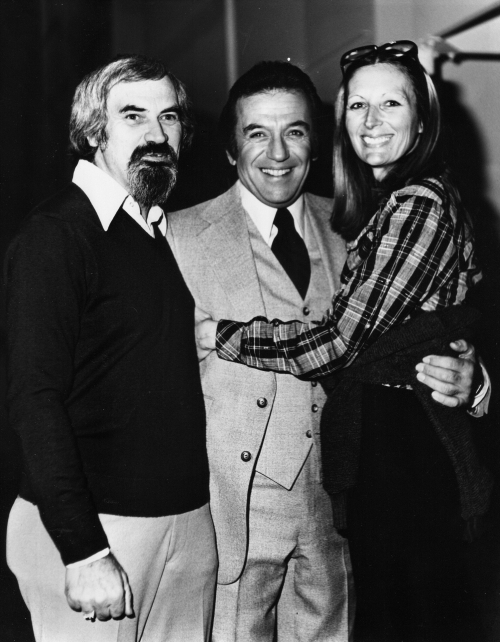 By the summer of l980, I had formed a partnership with Kathleen Gold (the hearing mother of Julianne) and was busy cranking out TV shows for Los Angeles stations. We produced 40 half-hours teaching sign language for the NBC-owned and operated stations (“SAY IT WITH SIGN” with Larry and Sharon Neumann Solow); a talk show for RKO-General that featured a deaf host, who came to be known as “The Deaf Johnny Carson, (“OFF-HAND”featuring Herb Larson and Lou Fant), and I’m proud to say that that particular series went on to win seven Emmy Awards; a musical-variety special for Metromedia (now Fox TV) featuring deaf dancers and mimes (“IT’S MUSIC TO YOUR EYES” that starred the beautiful Lander Sisters, Audrey & Judy ); and even an aerobics program in which the instruction was done in sign language (“AEROBISIGN” which featured Pam Larson). The anchor program for The Silent Network was “Off-Hand.” It ran twice a week for nine years on KHJ-TV, Channel 9 (RKO General) in Los Angeles and was hosted by educator Herb Larson and the late actor-interpreter Lou Fant. Over the run of the show we produced 385 episodes, had more than 500 guests, and won seven Los Angeles-Area Emmy Awards. Herb became quite a celebrity (rightfully deserved), and Lou gave the program considerable cache in the world of sign language. Kathleen left the company in December of 1980 and I set up the network offices in my 675 square foot apartment in West Hollywood, California. The dining room became my office. I dumped my furniture and stuffed three desks into my living room. And I only had a staff of four — myself and three friends. None of us knew very much about this new medium called “cable TV” in those days, but we knew we had to jump on the bandwagon. So, I leased a satellite transponder and started transmitting two hours of programming on Saturday mornings from 9:30 a.m. to 11:30 a.m. (EST) to a nationwide audience. It took nearly seven years, but eventually we moved out of my apartment and into spacious offices in the prestigious RCA Building on Sunset and Vine in Hollywood. We had actually survived through thin and thinner to become a recognizable force in the cable industry with our weekly programming block, starting in 1981 with as few as 2 million homes and by 1990 reaching as many as l4-million households. We supported the network from the licensing fees we received for producing programming at various TV stations, and by selling advertising for our cable network. 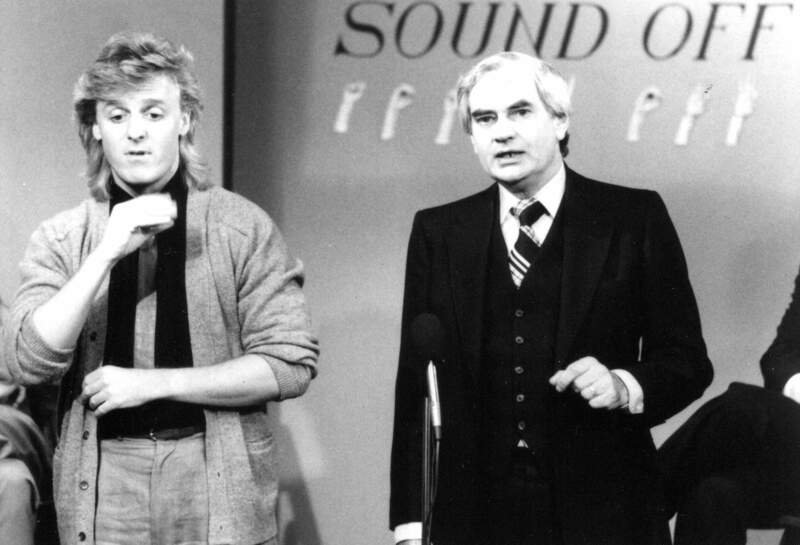 Initially, I may just as well have been a man from Mar’s trying to convince people that there was a deaf community in this country anxious for sign language programming. But, Hallmark Cards became the first advertiser to jump on-board. They were followed by Mattel Toys, Campbell Soup, Kal Kan Pet Foods, AT&T, Kraft, Levi Strauss, and Southwest Airlines. My merry band of dedicated souls (all three of them) helped me make a significant impact in the cable industry. Those three people, by the way, were Carol Mau (hearing), who sold all of our advertising; Laura Ripplinger (the hearing daughter of deaf parents), who served as my assistant and interpreter; and David Pierce (deaf), who literally ran the technical end of the network as Vice President of Production and Network Operations. By 1990, when I sold the network, we had produced over 3,000 original programs in sign language, featuring some of the deaf community’s best talent, including: Julianne Gold, Julianna Fjeld, Bob Daniels, Bob Hiltermann, Rita Corey, Ed Chevy, Jeff & Sheila Lenham, Fran Ripplinger, Ed Waterstreet, Linda Bove, Phyllis Frelich, C.J. Jones, Margo Cienik, Mary Beth Barber, Terrylene, Herb Larson, Freda Norman, Bobbie Beth Scoggins, Billy Seago, Nancy & Richard Kendall, Douglas Ray Kennedy, Gregory Koppel, Willy Conley, Charles Katz, Kevin Mills, Dean Sheridan, and David Sladek. 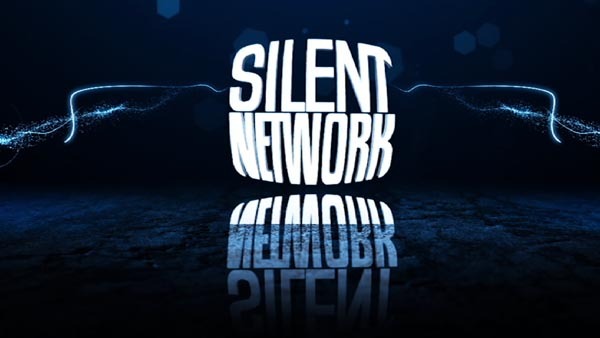 The Silent Network was purchased in May of 1990 by a group in San Antonio, TX who operated it for 10.5 years and expanded to a 24/7 network. The network went off the air on January 1, 2000. Quite a bit has happened since I began in 1979. Marlee Matlin won an Academy Award, Julianna Fjeld won a national Emmy Award, Phyllis Frelich won a Tony Award, the “Deaf President Now” crusade at Gallaudet University held a nation spellbound and of course, President Herbert Walker Bush signed into law the American’s With Disabilities Act in 1990. The words “politically correct” became part of American lexicon, the phrase “hearing-impaired” was changed to “individuals who are deaf or hard of hearing,” and captioning became a federal mandate. But how much progress has really been made? The African American community, with a population in the U.S. of approximately 19 million, has BET (Black Entertainment Television) and two new networks. The Hispanic community, with over 22 million population, has three major Spanish-language networks. There’s a network for Koreans, Russian, French, Italians, Chinese and Japanese – but what’s out there for the deaf community? NOTHING. So, I have decided to do it again. So here we are, on the Internet, with some of the original programs we produced in the 80’s and a production schedule of all new programs that we hope to have up and running on the network in the weeks to come. Please keep checking back, because we will be adding new programming on a regular basis. And, why am I putting The Silent Network back in business? I guess I’m just going to have to keep doing this until I get it right. I would be remiss by not acknowledging three people who were instrumental in bringing The Silent Network to life. My eternal gratitude to Kathleen Gold, whose perseverance and foresight became the impetus for creating the first programming service for the deaf and hard-of-hearing community in television history; to Howard Sturm, Vice President of Public Affairs at KNBC-TV in Burbank, who believed in us enough to give us our first jump-start into the real world; and especially to Carol Mau Pekin, who single-handedly kept the network in business, helped give it a personality, and ultimately proved that she was truly indispensable. And last, but by no means least, to David H. Pierce, by far the most energetic, creative, talented and enjoyable deaf person I ever had the opportunity of working with, and I have said it publicly many times: If I had five more just like him,. I could have ruled the world!